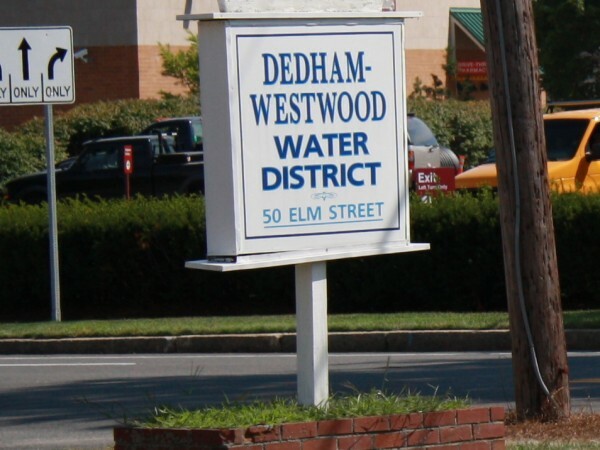 Water softener or water filtration system options are identified in this report for purposes of improving water quality in Dedham, MA. Additionally, certain aspects of the public water supply are reviewed. If you have a private well, it is highly recommended that you get your water tested and analyzed. 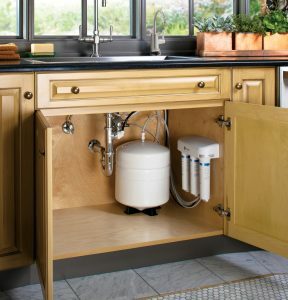 This is the only way to identify whether or not you should be considering a water filtration system or a water softener. The District’s water supply is from groundwater. According to the 2016 Annual Report, there are seventeen wells, six in Westwood and eleven in Dedham. There are also emergency connections with the Massachusetts Water Resources Authority (MWRA), the City of Boston and the Towns of Norwood and Needham. There is also the ability to purchase water from the MWRA on a routine basis, up to 36 million gallons annually. Approximately 3% of the water was supplied by MWRA. HARD WATER – WATER SOFTENER? According to information taken from the Annual Water Quality Report, average water hardness was identified at 163 mg/L (miligrams per liter) with a range from 111 to 215 mg/L. 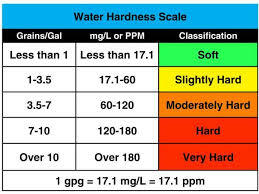 The average level tested measures in the upper half of the Hard Water range (see scale below). On the high end of the range, the water is very hard. Hard water may result in white scale build-up on bathroom and kitchen fixtures, streaking on glassware and dishes, scaling inside the home’s plumbing distribution system, dull laundry, and it will make it “harder to clean” your skin and hair than with soft water (often difficult to lather up soaps, etc.). When water falls as rain, it’s “soft” and free of hard water minerals. It picks up minerals as it passes through rock, sand and soil. Hard water is high in mineral salts, especially calcium and magnesium ions. This is no fault of the town, but just the cards they have been dealt. For more information on hard water, see the link at the Water Quality Association website at Perceptible-Issues/Scale-Deposits. 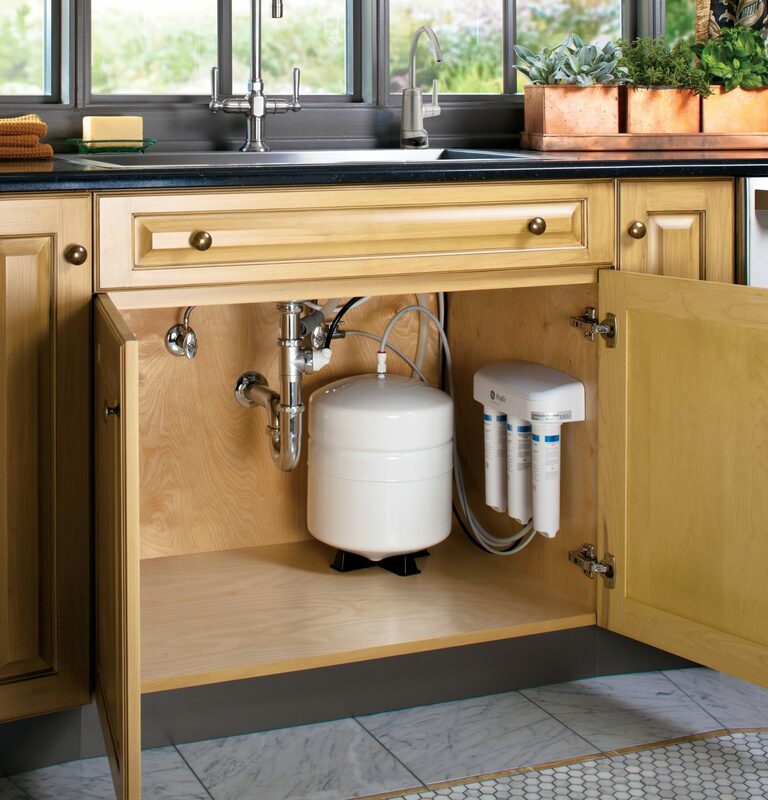 Water softening or water filtration systems can be installed for the removal of any of the potential causes of symptoms you may be experiencing. 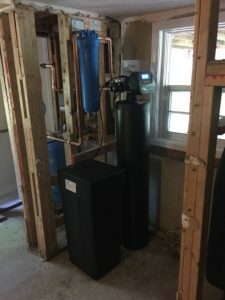 Water softeners are typically installed to remove dissolved hard water minerals (calcium and magnesium) and dissolved iron or manganese in the water through a technology called Ion Exchange. To remove particulate iron or manganese, a properly sized sediment filter is required. Chlorine or chloramine (often causing objectionable odor & taste) can be removed with a carbon filtration system. Hydrogen sulfide is evidenced typically by a rotten egg smell in your water. This may also be caused by high manganese levels in the water as well. 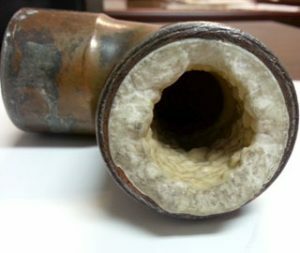 This problem is easily correctable with a water filtration system design specifically for this purpose, typically carbon filtration, aeration or ozone, depending on the level. Chloride levels measured during 2016 ranged from 139mg/L – 274mg/L with an average of 212 mg/L (miligrams/ liter). The Environment Protection Agency (EPA) maximum allowable level for Chloride as a secondary contaminant is 250 mg/L. As these levels have increased, the Water District has been trying to get the Department of Transportation to use less sodium chloride rock salt in the area of the well supplies. This has been an issue over the past decade and has increased since the “add a lane” project on route 128. Chloride can be removed from drinking water with reverse osmosis water purification technology as a technology originally developed in the 1950s for the purpose of desalinating sea water. The systems have been reduced in size for practical use in homes and other smaller water users. Reverse Osmosis is used in the production of Aquafina and Dasani, two of the largest selling bottled waters in the world. Reverse Osmosis Purification System installed under sink. Basement install optional with line run to kitchen. In summary, controlling your home’s water quality is attainable through proper water testing and equipment specification with today’s available water filtration technologies at a reasonable price. Proper on-going maintenance is also critical to maintain a consistent level of great water quality for your home. Formed in 1989, H2O Care is an established Massachusetts based water filtration and testing firm with offices in Hudson & Middleton, MA. Articles published by the Company can be seen in Water Technology Magazine or linked through the website publications section at h2o care website. You can reach us by email at service@h2ocare.com or by calling 978-777-8330.